Last weekend I received a thing of true, handcrafted beauty. My brand new Frends headphones. The vintage jewellery inspired headphones first caught my eye when I saw them on Rosie Fortescue's instagram (these MIC girls are beginning to cost me a small fortune). I immediately fell love with the entire Frends collection at Avenue 32 and naturally decided I needed a pair. 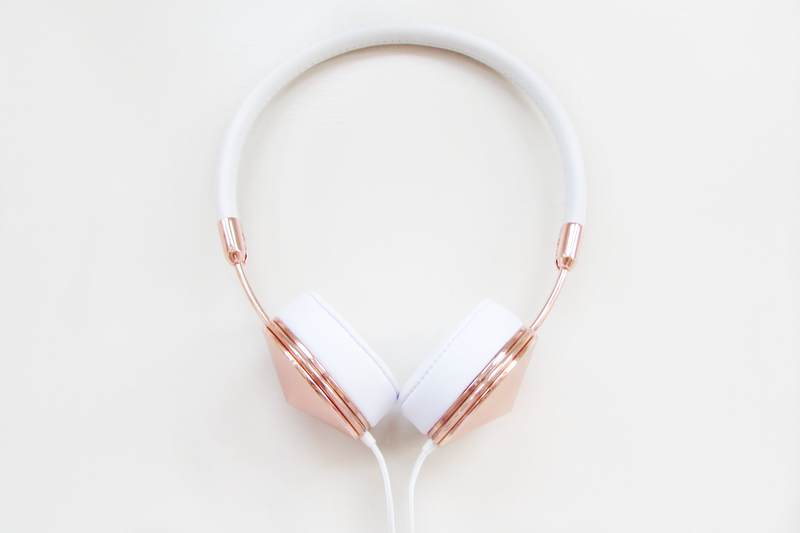 After much deliberation I opted for the Rose Gold Layla over ear headphones – the original Taylor’s demure little sister, they’re still super stylish just a little more subtle. They arrived Saturday morning and I was completely besotted. 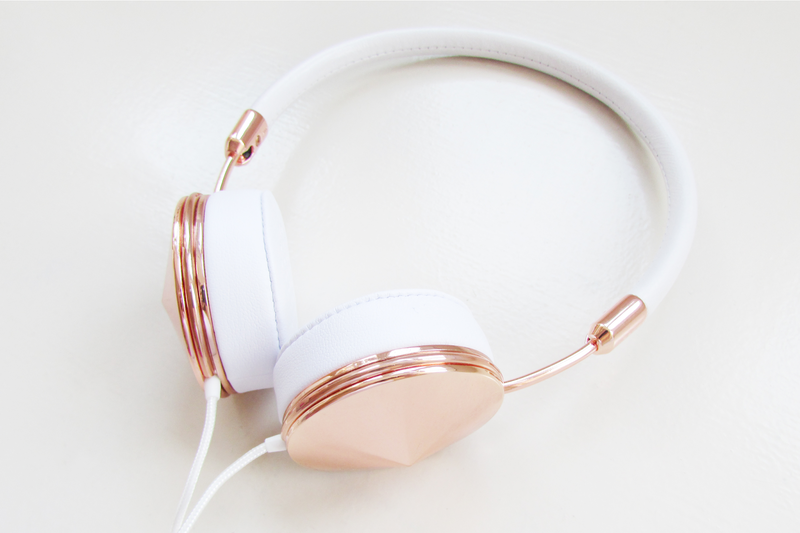 The pristine white lambskin leather makes them practical and really comfortable, particularly for long journeys, while the metallic rose gold finish makes them feel more like a fashion accessory than a pair of headphones. They also come with a stylish set of volume, music and phone controls and a nifty pouch to keep them safe and scratch-free. Now that I own a pair, I've been noticing them everywhere, including on Cara Delevinge at Paris Fashion Week - if Cara has a pair they have to be cool right? I can see them being a real hit amongst us bloggers! These are beautiful, I may invest... do they easily wipe clean? White on foundation I can imagine gets a little messy?